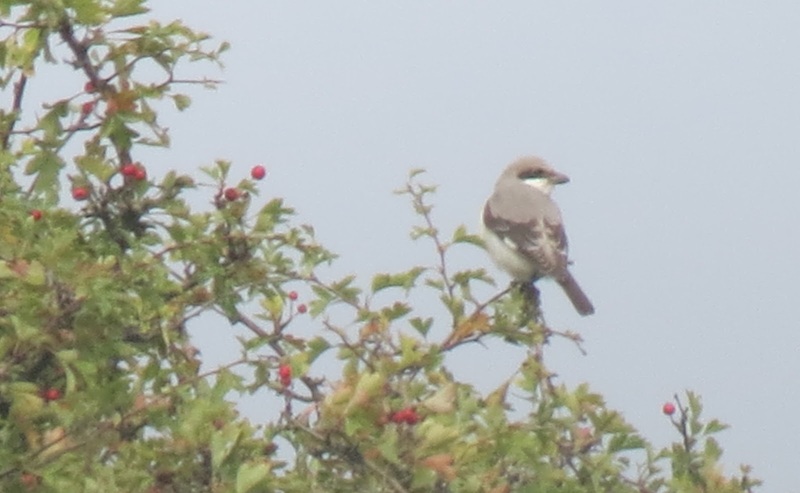 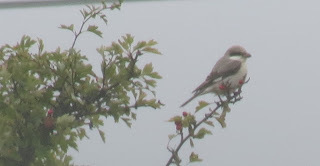 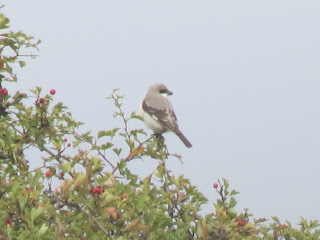 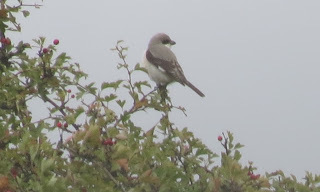 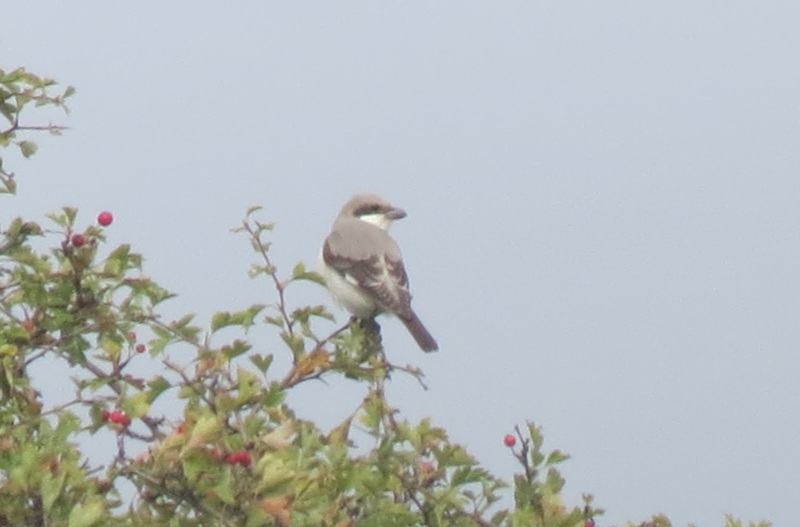 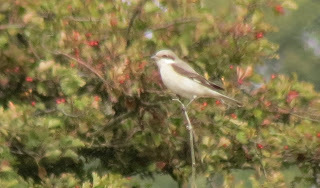 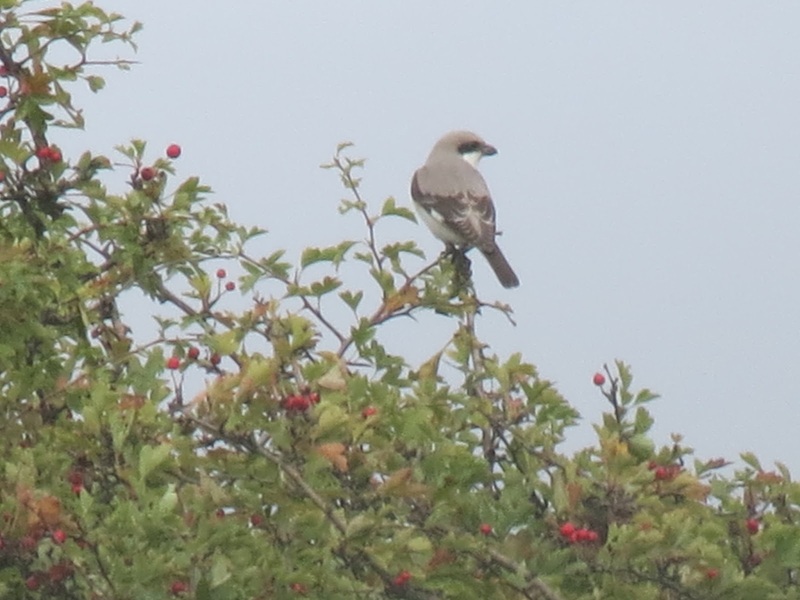 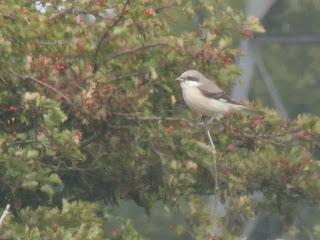 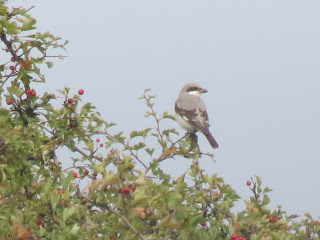 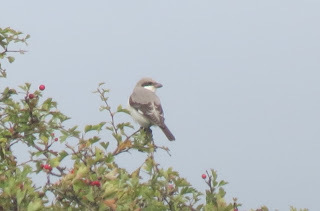 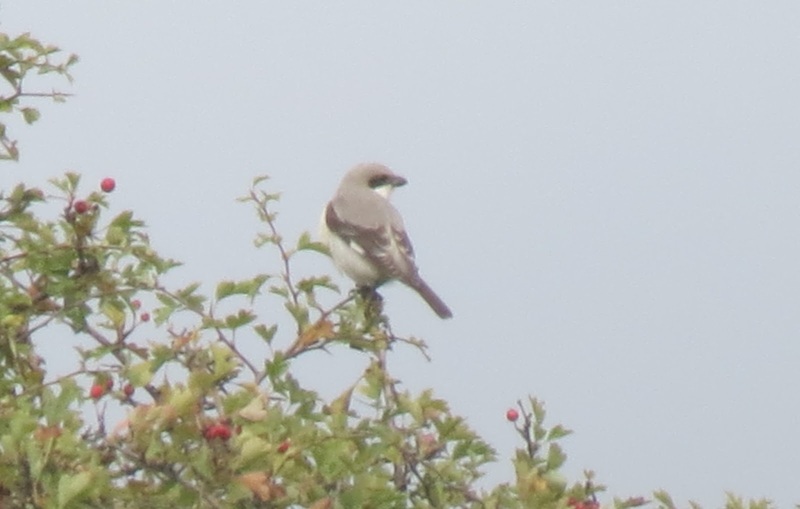 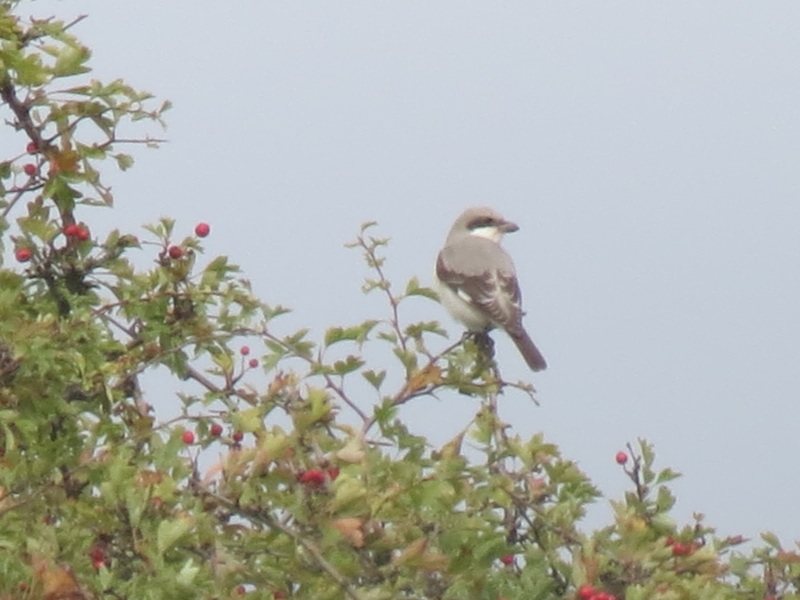 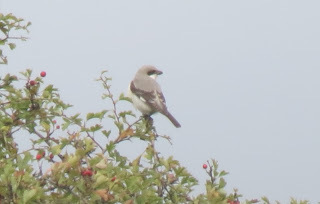 A first-winter LESSER GREY SHRIKE is present for its fourth day in Suffolk after being discovered on Sunday by two novice birdwatchers who eventually notified RSPB staff at Minsmere RSPB after they had enjoyed a few beers in the Eels Foot Inn at Eastbridge. John Grant quickly made his way to the location and confirmed the bird's identification. 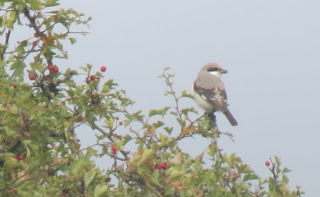 It has been showing well in the paddocks immediately SSE of Halfway Cottages, just east of Leiston town (situated on Sizewell Road about a mile down from the main Leiston to Yoxford road) at approximately TM 463 621. 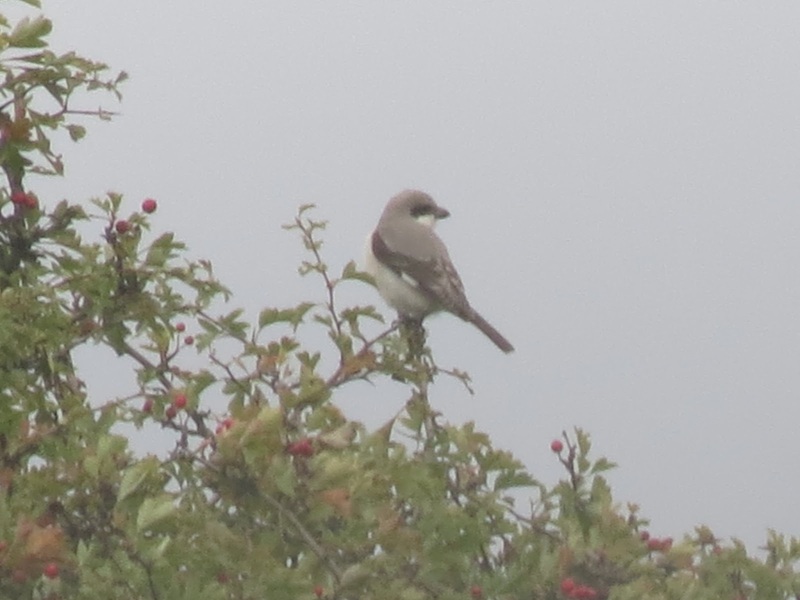 Park sensibly opposite the Cottages and respect the privacy of the residents. 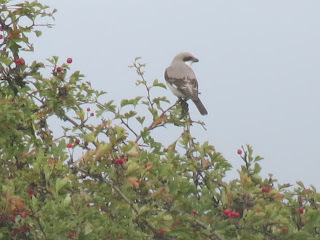 It constitutes the 9th record for Suffolk following singles at Hollesley Common on 22nd-23rd May 1970 (trapped & ringed), Walberswick Heath on 7th June 1973, Lakenheath on 4th June 1977, Lound Waterworks from 10th-12th September 1989, Walberswick Common on 25th May 1996, Thelnetham Fen in Suffolk Breckland on 29th June 2006 (singing male), Shingle Street from 8th-11th July 2006 (adult female) and at Trimley Marshes on 14th September 2009 (first-winter).